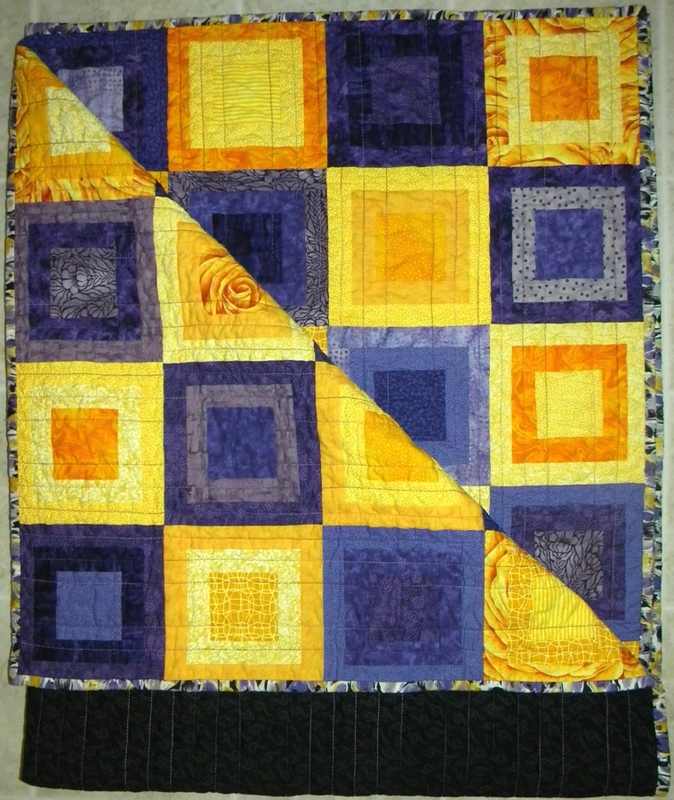 When I stumbled across a fabric that had a blend of purple and yellow in it, I knew I had to make a quilt for Michael’s aunt, Lynne. Her favorite color is purple, and the fabric just seemed to imply what should follow. 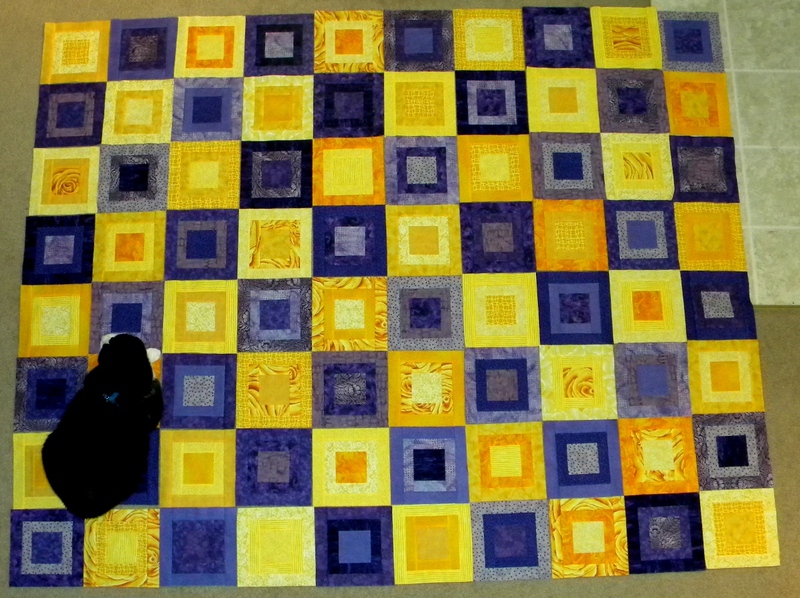 I initially set out to make smaller blocks for this lap quilt, but the finished size was smaller than I was hoping for, so I went back and added a second border to each block. It meant the project took longer than I had hoped, but as it was a surprise gift I wasn’t working toward any particular deadline. As Lynne is a fantastic Soprano, I absolutely adored the backing fabric – black with grey treble clef symbols all over it. 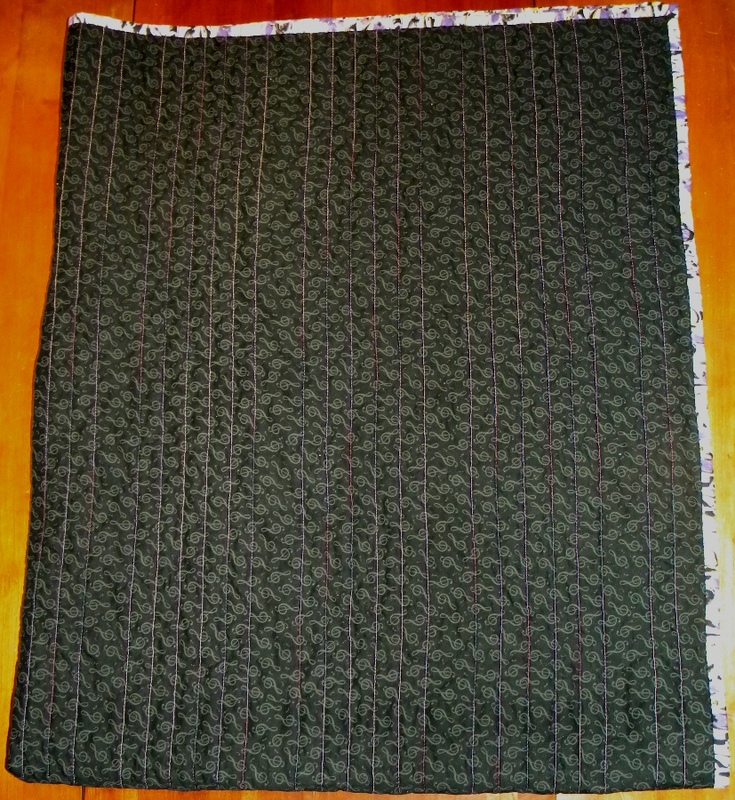 It was a joy to make, and I hope she finds some warmth and utility in it.